Jason Wilson has an experienced record of successfully defending white collar criminal cases. Each criminal defense case is different, and there is no formula to follow to alleviate this burden. However, having the right attorney with the right skills can make a difference, whether defending against embezzlement, obtaining property by false pretense, or bank card fraud. Jason focuses on achieving the dismissals of charges in the beginning if possible, and then consolidation/reduction of multiple counts into an acceptable plea agreement. If these alternatives are not successful, then focus on trial strategy becomes the goal. The difference Jason makes is committing his resources of legal professionals, investigators, and other experts. 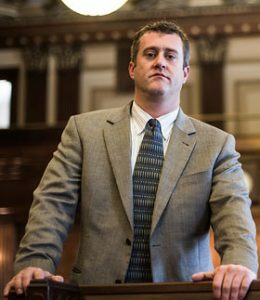 Jason Wilson’s goal is to achieve the best results in your criminal defense. Jason practices in many areas of criminal defense, and can defend you against any so called “white-collar” offense. Consultations for criminal matters are cost and risk free.